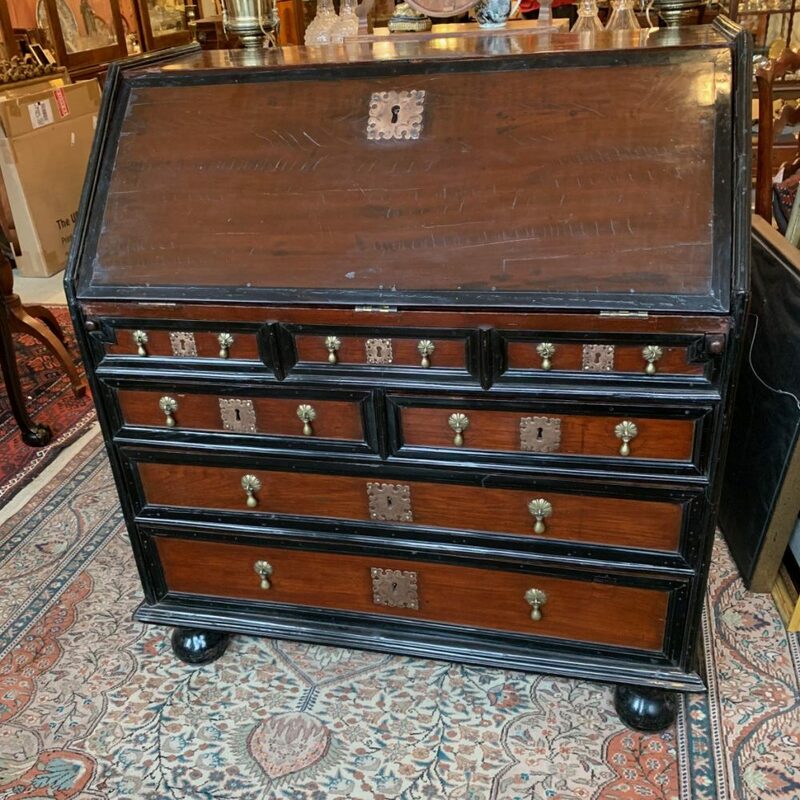 This rare desk is entirely teak and ebony. The teak primary wood has an old finish and looks like a nice dense mahogany. The hardware is all original with the exception of the fall board hinges. The brass of the escutcheons is a reddish, bell metal, color. The ball feet are entirely original and are dovetailed into blocks attached to the base. The document drawers are held by “Quaker” locks with secret releases from the central compartment and are mounted with horn or baleen springs on their back boards. It is very solidly constructed and quite heavy. We have the original key. This is a fine and very well preserved desk that demonstrates the global reach of English and Dutch design influence in the first part of the 18th century.